This is a page for the odd photos and things that don't fit into other pages. 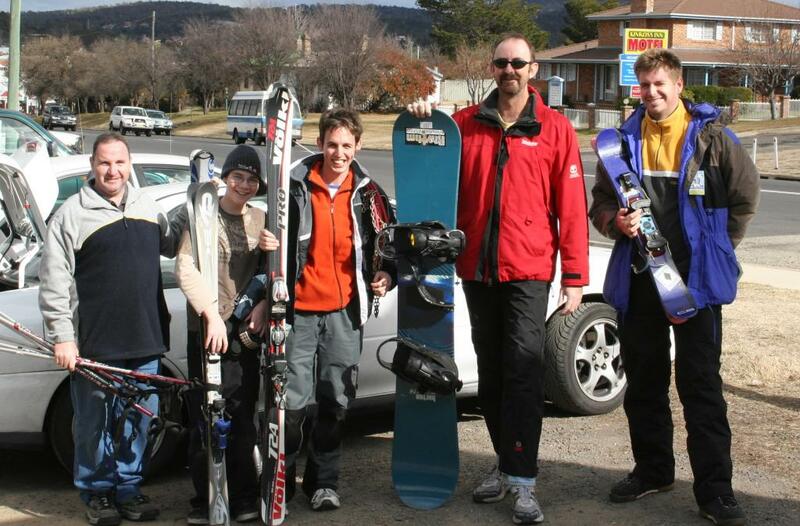 In July 2005 I went snowboarding with some friends at Mt Perisher, New South Wales. 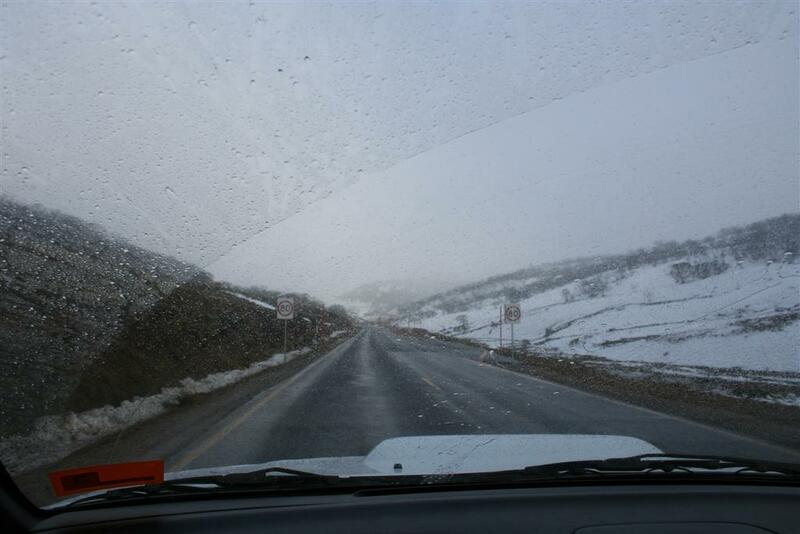 The weather was pretty awful most of the time but there were a few days when the snow wasn't too icy and so I didn't fall over every ten seconds. 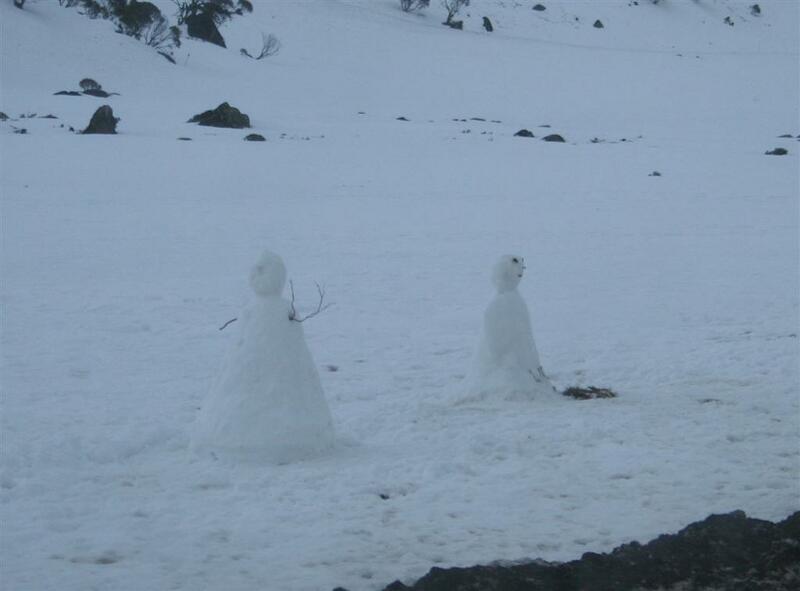 On the left is the weather on the way up the mountain on the worst day, and we didn't even bother getting out of the car on that one, once we got to the ski area.. On the way back I spotted a couple of snowmen, so someone else had other ideas apart from skiing as well that day. The group of friends I went with I know through the guy on the left, Brendon. 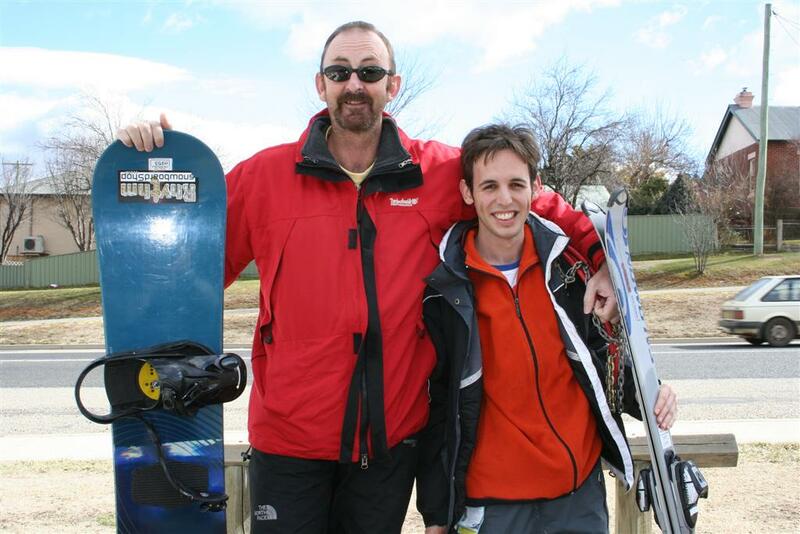 Brendon can ski a lot better than I can snowboard, but he's been doing it a lot longer as well. The group on the right is part of the group we started with, some left as the week went by. 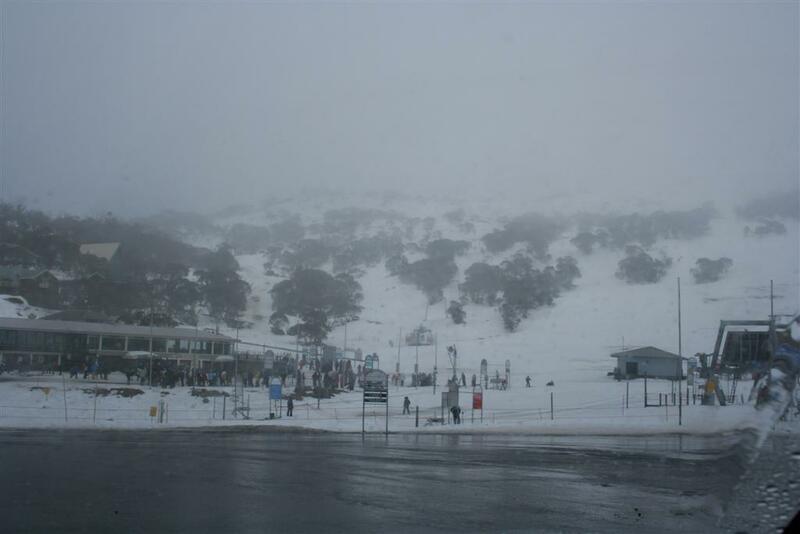 Sorry, no pics of me snowboarding, we just didn't get around to taking any! 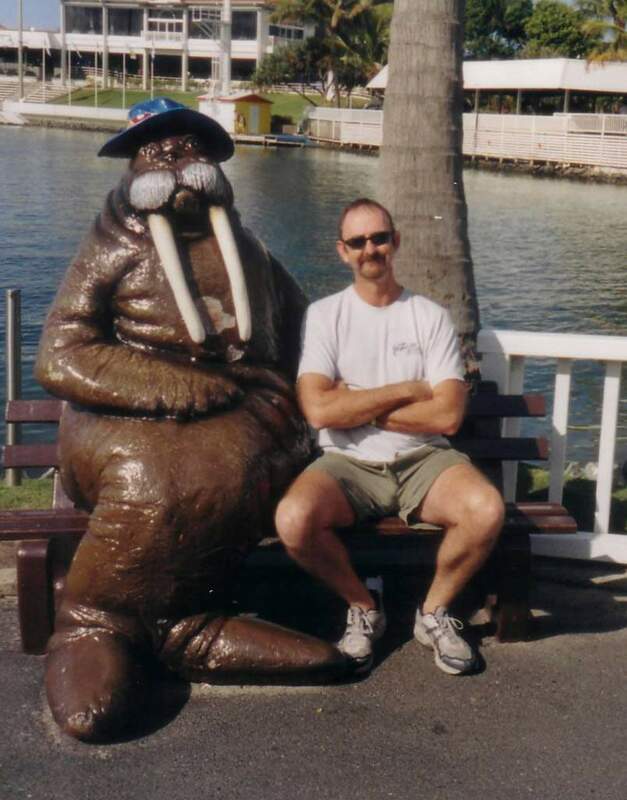 Also in late July 2005 I went swimming with the dolphins at Seaworld, on the Gold Coast. 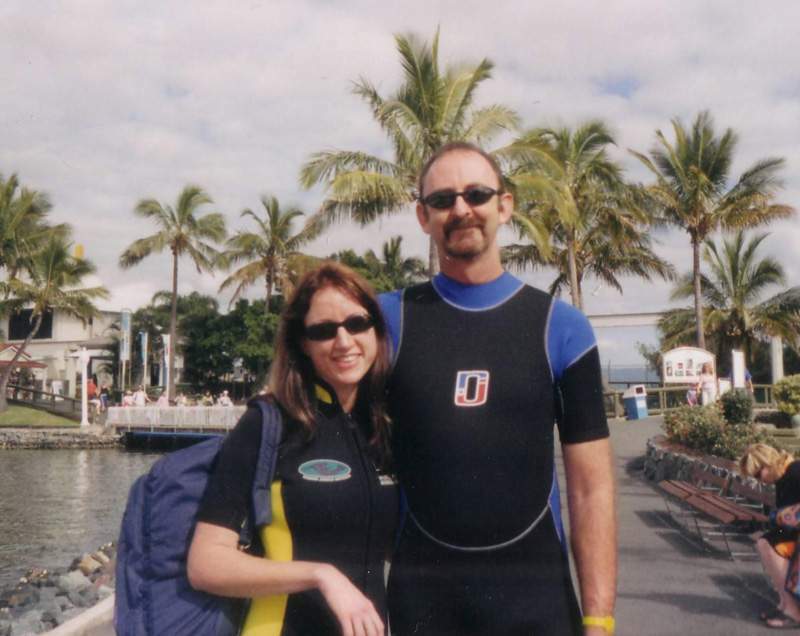 A couple of days after the ski trip, I had organised a swim with the dolphins at Seaworld on the Gold Coast. A friend of mine, Michelle, has her birthday very close to mine so it seemed like a good excuse to have a partner for the day. She's certainly better company than the walrus! 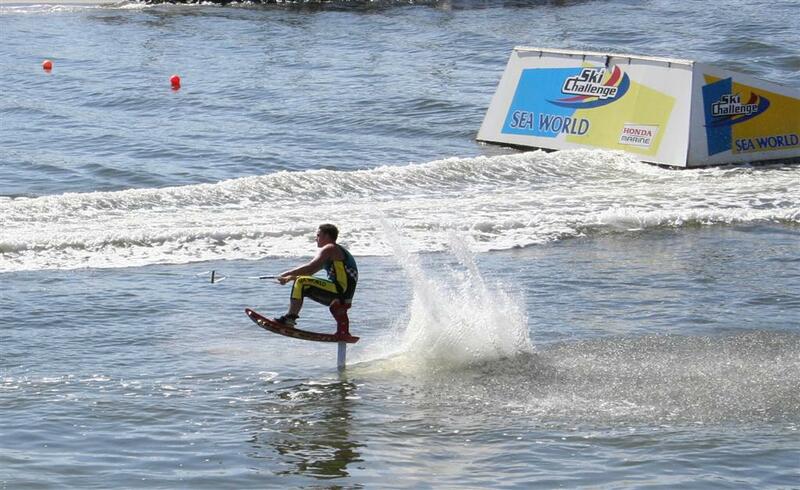 They had the usual ski show there but the one thing I found impressive was a guy skiing around on a seat that had a hydrofoil under it. 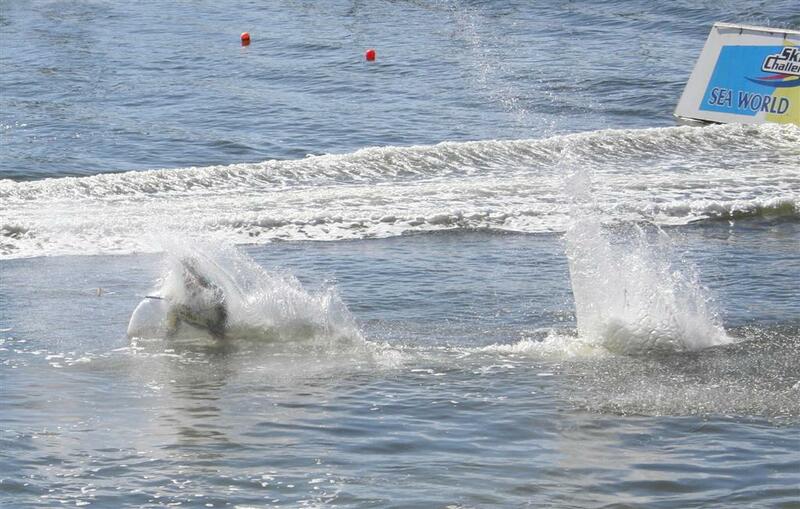 He jumped the thing twice as high into the air as any of the regular ski guys, and did the most amazing tumbles. On the right he's just coming down from a big jump and very nearly buried himself right into the water, but just managed to pull out of it. 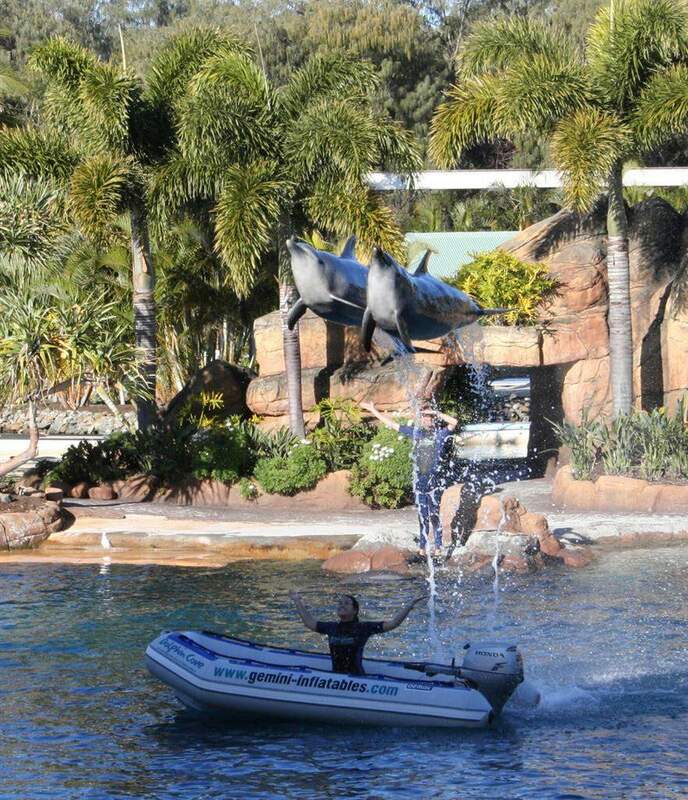 The dolphin show was great as well - The dolphins really seemed to be enjoying themselves and showing off. Then it was time for the humans to get dressed up and hop into the water with them .... ! 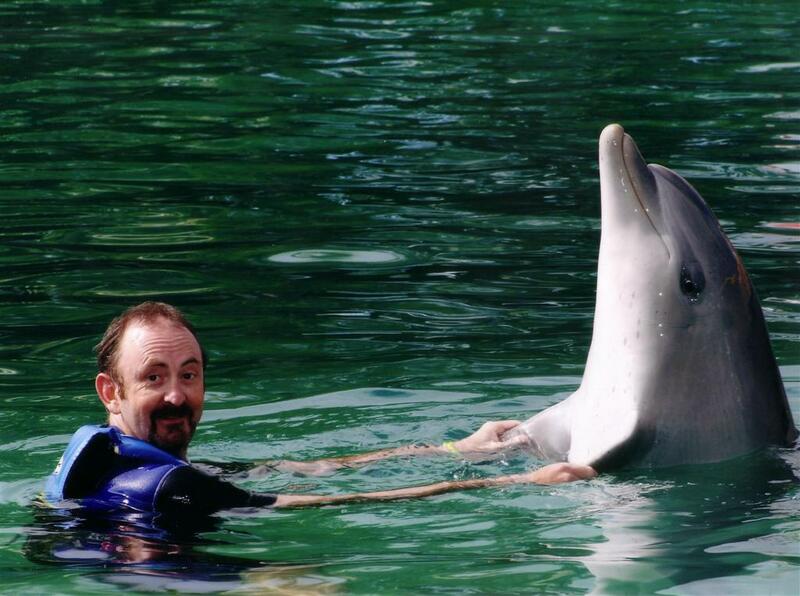 Part of the routine of the dolphin swim is that you get to 'interact', as Seaworld calls it, with them. That involves a few simple tricks, getting to feel their skin, and so on. But the photo opportunity was were the dolphins swam up in front of you with their front half sticking up out of the water so you could dance with them. 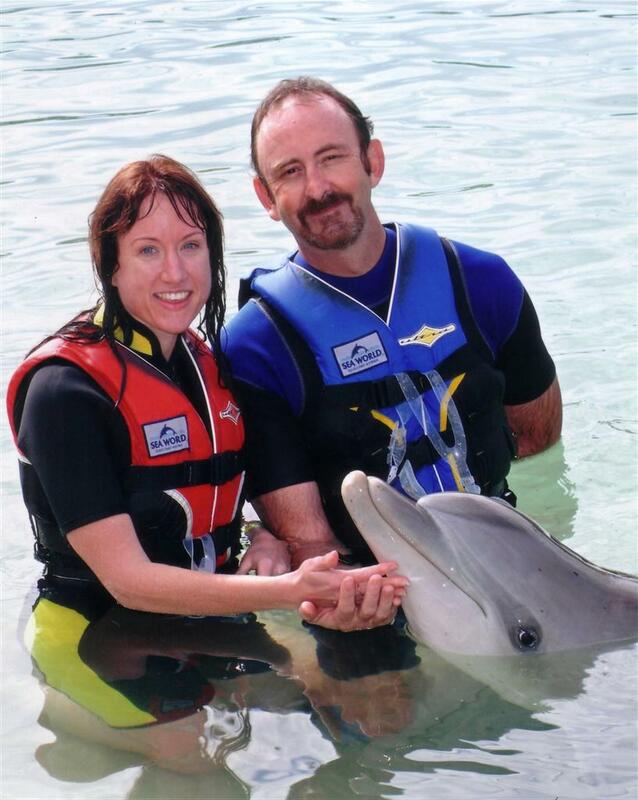 Then the other photo opp with the dolphin looking cute. And yes, I would really like to have one at home for a pet! 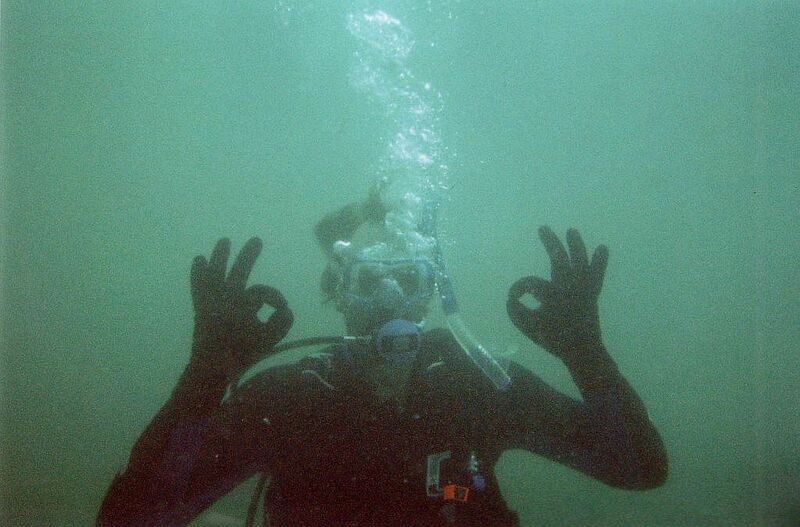 For no real reason I decided to learn to scuba dive. 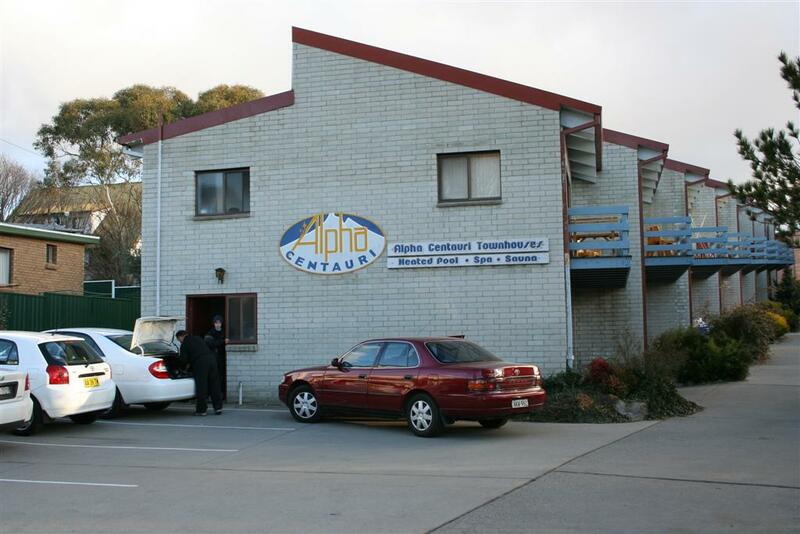 So in October 2005 I gained my PADI licence and spent a bit of time on Ebay getting some scuba gear for myself. Just north of Brisbane an old Navy Frigate has been sunk and is good to dive on, so I plan to do that some time soon. The photo on the left is one taken by my dive instructor at Julian Rocks, near Byron Bay. It was with one of those cheapie disposable cameras and her photo of me is better than mine of her! 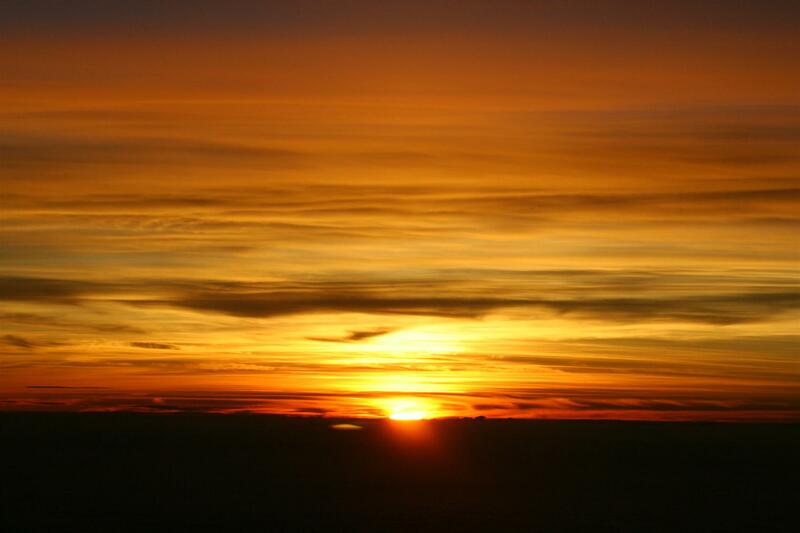 This is sunrise over India, taken at about 35,000' from the cockpit of the 747. Somewhere near Bhopal I think. 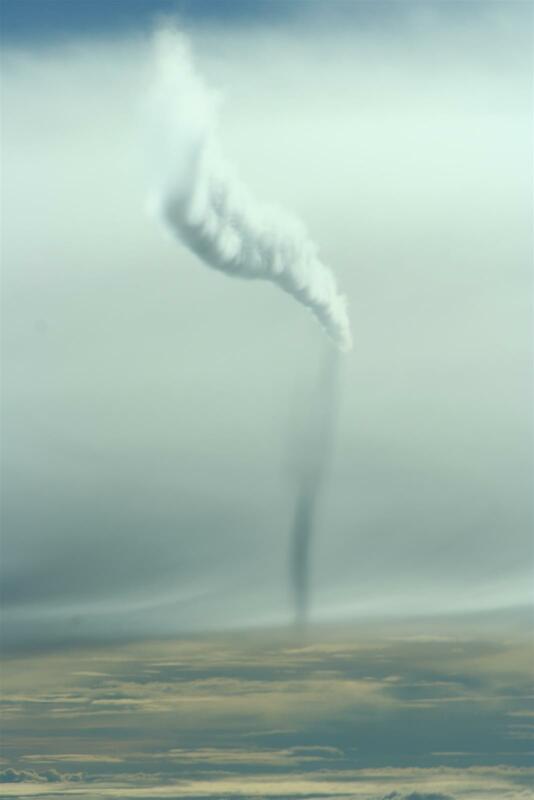 This was a short while later - We were follwing a jet that was above us and just for a few seconds or so the lighting was just right to capture a couple of photos like this. The jet was leaving a lovely, thick vapour trail and the sun was at such an angle so that the shadow coming down from the vapour trail made it look longer than what it was. It gives the photo a bit of a mystical look I think. 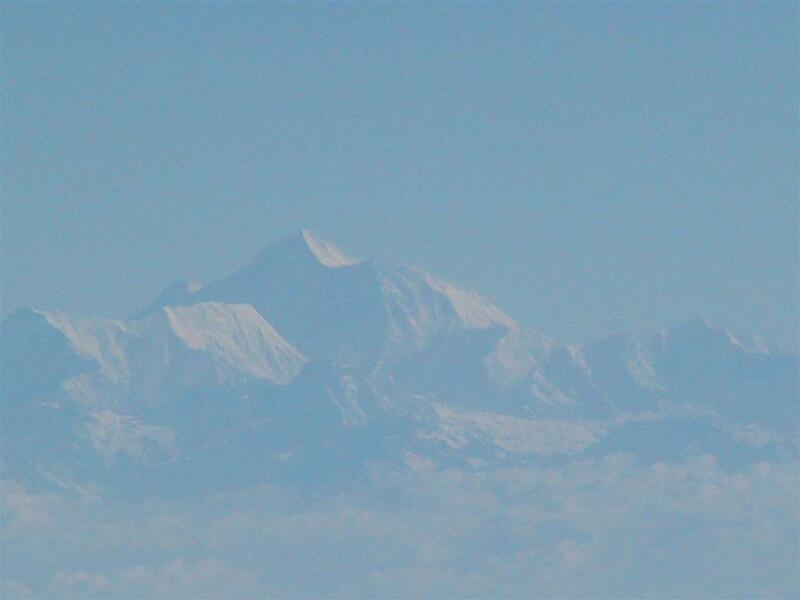 In May 2005 I was flying from Dubai to Shanghai and our path took us a fair way north in India, not too far from Kathmandu. I had a look at the map (photo on the right) and made a guess as to where Mt Everest was, and around that area the photo on the left captures the highest mountain I could see. It was a long way north of us, and this was the best image I could get. 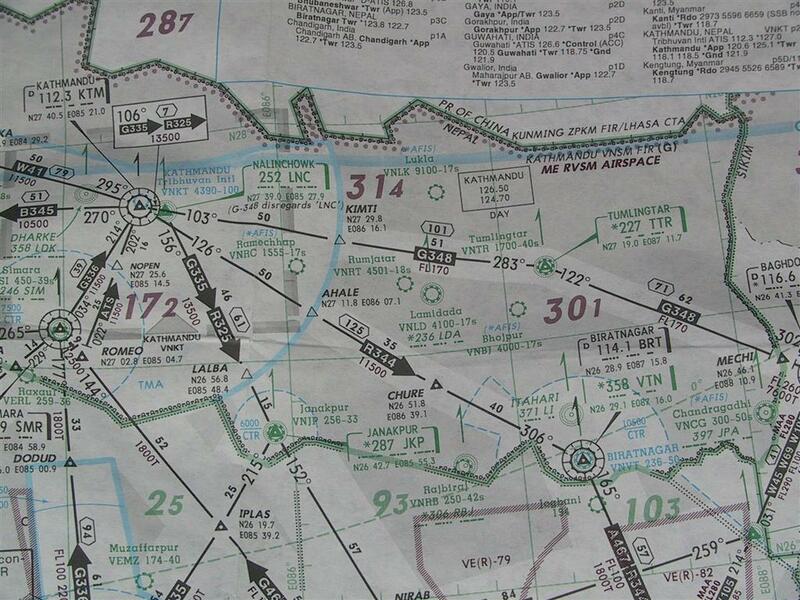 If you find the '314' on the map, then Mt Everest is in that area. 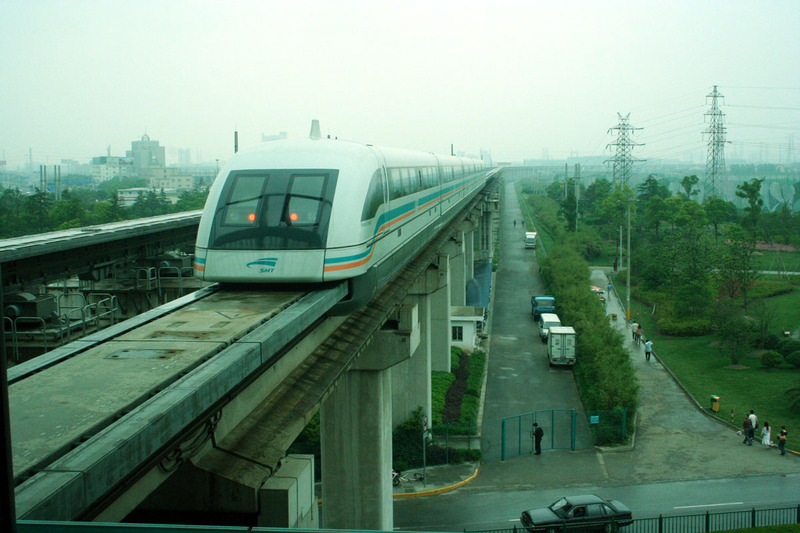 In May 2006 I was in Shanghai and decided to go for a ride in the magnetic levitation train they have there that runs between the city and the airport. It's the fastest passenger train in the world, and travels at 431km/h. 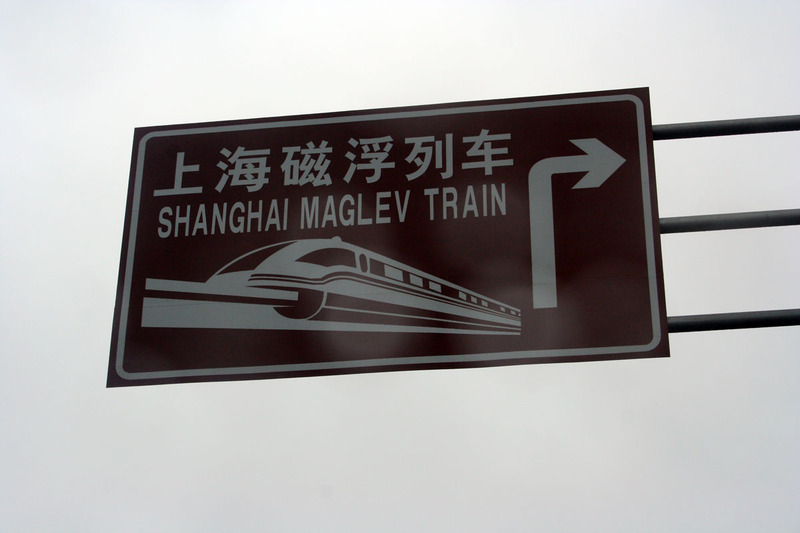 Being a maglev train, it doesn't ride on wheels but is held off the tracks by strong magnetic fields. It's pretty aerodynamic as well, as you can see on the right. On the left is the train departing the station. It makes basically no noise at all, until it starts to get up to high speed then there's some wind noise from both inside and outside the cabin. The acceleration is quite positive and the ride is a little rythmically rough at the start as the segments of the powerful magnets push the train forwards. But they smooth out as the speed builds up, then it starts to get a bit more of a vibration up at high speed. None the less, it's an awesome ride! Looking out the window, the scenery zips past at an astounding rate. My camera takes about three photos per second in sports mode but even at that rate three consecutive shots showed little continuity. If you look at the photo on the right you can see the time and the speed. 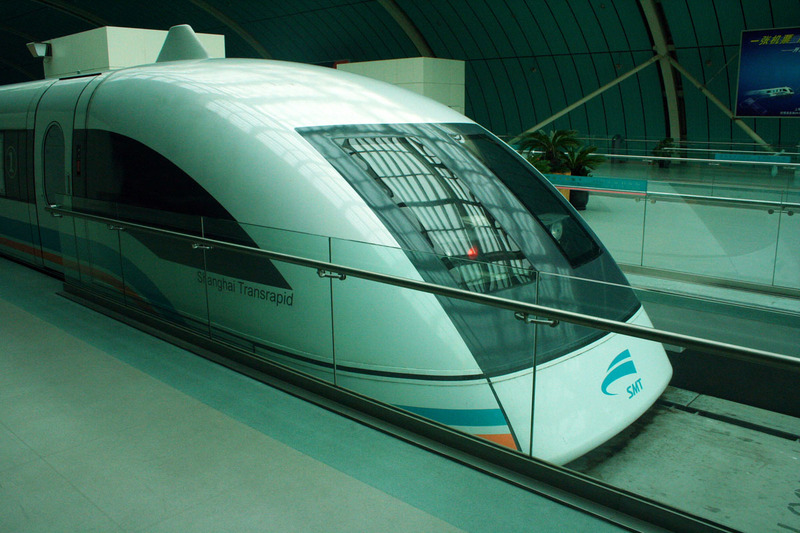 It takes the train about three minutes to accelerate up to 431km/h, with the first 300km/h odd coming up pretty quickly. 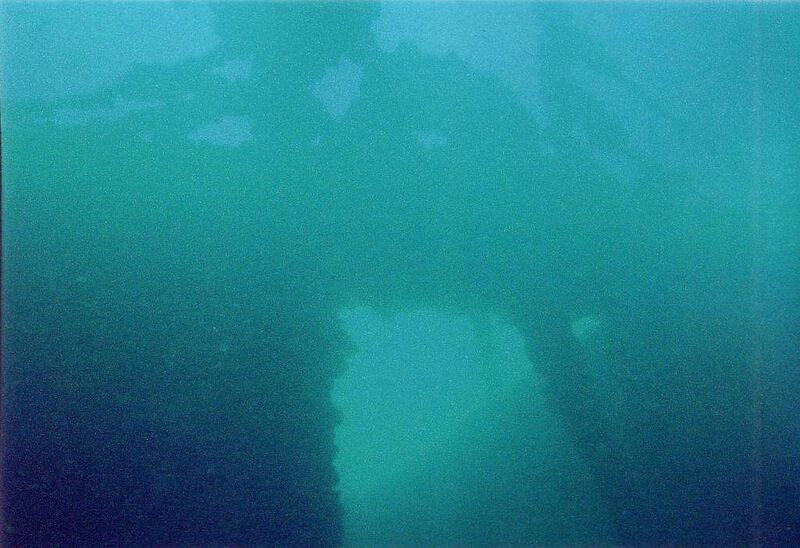 In January 2007 I finally got around to doing the dive that was one of the main reasons I learned to dive - On the HMAS Brisbane, sunk as an artificial reef off Mooloolabah in south Queensland. I managed to find a disposable waterproof camera that was rated to 15 metres, and since I'm only rated to 18 metres I thought it'd be fine. Most of the deck is at 18 metres so that was as far as I was going to go. 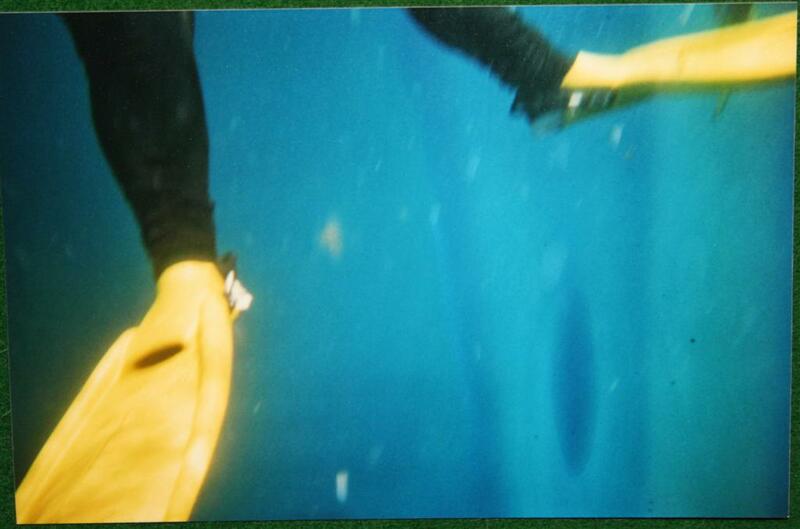 However, the divemaster dude asked the group before we went if we minded going a little deeper. We all said yes, so about 15 minutes later, there we were at 27 metres, on the bottom of the ocean. That's the photo on the left, looking up at the stern of the ship, and there's not a lot of light left so the photo is pretty poor unfortunately. The water was also very murky and that didn't help. All things considered though, I was pretty darn happy that the camera still worked down that deep. On the right, you can see that I finally got a half-reasonable photo of myself as well. That was at about 16 metres, sitting on the deck. I handed the camera to one of the others in the group and they managed to make it all work. The wreck is heavily encrusted with marine life, and it looks like it's been down there for decades. But of a lot of it is still recognisable and there's a lot to explore. In April 2007 I decided to buy myself some arty sculptures, and I quite liked the complex 3D ones that Bathsheba makes, and I've also wanted a Klein Bottle for quite a while as well. So I just went out and got them. 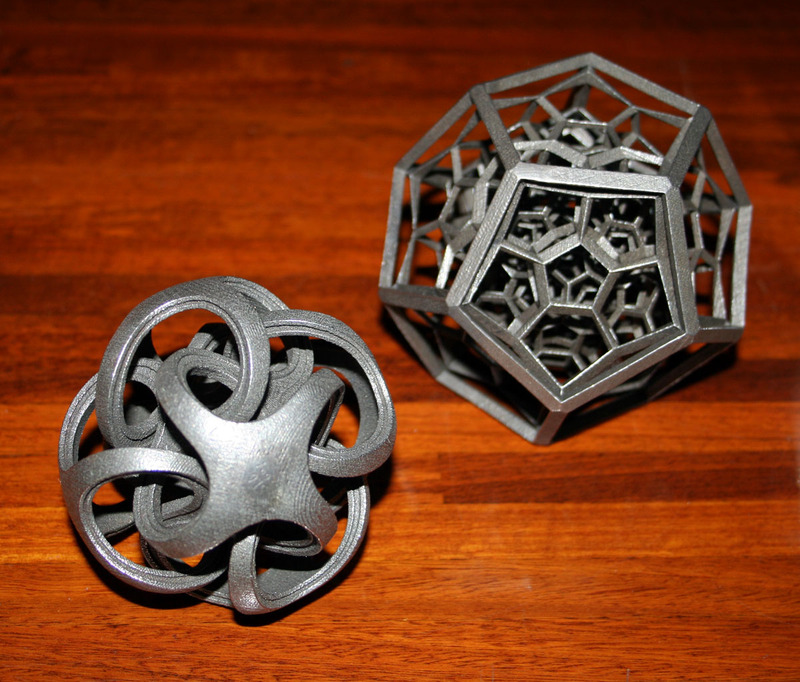 The 3D sculptures are made on a 3D printer and the Klein Bottles are made in several pieces by hand. A few months ago I bought a DigitalGoPro video camera as they come with a waterproof case and are small enough to strap to your wrist. It turned out that I'm not very good at videoing underwater so I edited the video I made when diving at Julian Rocks, Byron Bay, and kept the parts where we swam around with a few Grey Nurse sharks - They freaked me out a bit at first but you get used to them (sort- of!) after a while. Like a lot of creatures, if you leave them alone they will leave you alone.